Black Ferns Head Coach Glenn Moore has named his team to playAustralia on Saturday, 18 August at ANZ Stadium in Sydney. Auckland first five Ruahei Demant and wing Alena Saili will make their Black Ferns debuts in Sydney on Saturday after being named to start the Laurie O’Reilly Memorial Trophy Test against Australia in Sydney. Demant will wear the pivotal number 10 jersey after fighting her way back from several injuries in the past few years, in a Black Ferns squad that includes five new caps in the match day 23. Moore put Demant’s selection down to the 23-year-old’s determination and dedication. “Ruahei never gave up on her rugby dream and worked her way back from knee surgeries. She’s a very experienced player at both club and Farah Palmer Cup (FPC) level. She’s a strong kicker, well organised and works well with (halfback) Kendra (Cocksedge). Contracted Black Ferns Sevens player Saili, 19, gets her chance on the left wing two years after leaving Southland Girls High School, while three other players; Krysten Cottrell (Hawke’s Bay), Cristo Tofa (North Harbour) and Leilani Perese (Counties Manukau) are in line to make their Test debuts off the bench. Cottrell is a versatile back, and has previously won four national sevens titles with Manawatu, Perese a ball-carrying prop, and Tofa is also a front rower who has been plucked out of club rugby at the age of 31. “Cristo was selected for North Harbour’s FPC side last year and has gone from strength to strength. She can play in multiple positions in the team and is a really experienced rugby player,” Moore said. The Black Ferns most capped player, Fiao’o Faamausili will captain the team on Saturday, with Canterbury halfback Cocksedge, and Manawatu’s Winiata, named as co-vice captains. Moore said the squad had prepared well and benefitted from last Saturday’s Game of Three Halves against Bay of Plenty and Auckland. “We’ve had the luxury of more preparation time which has given us the opportunity to gel as a team, test a few things, and make sure everyone is the best physical and mental state they can be in. 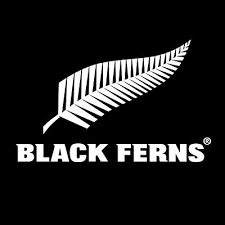 The Black Ferns match against Australia will be followed by the All Blacks v Australia Bledisloe Cup Test. All Blacks v Australia, ANZ Stadium. The Laurie O’Reilly Memorial Trophy Test matches will be broadcast live in New Zealand on SKY TV.